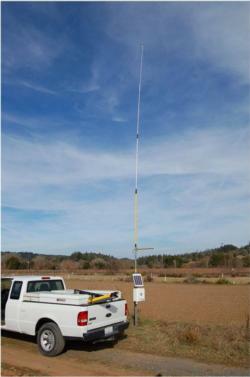 A collaboration between NOAA and UCCE allows wireless transmission of temperature inversion data to be viewed in real-time online. UCCE tower records temperature inversion conditions. 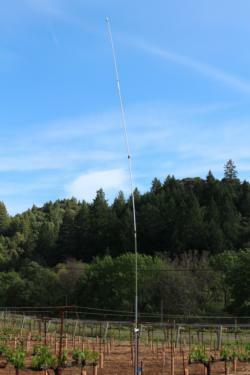 NOAA-UCCE tower provides real-time temperature inversion conditions online. Pre-registration is required. Click here to pay online. To register by check, payment must be received by May 2; click here for details. Click on the publications listed below to be taken to the UC ANR Catalog where you can read a brief description and download the document. If you want to be notified of new publications by email click here. This publication is a template for a comprehensive farm water quality management plan for use in planning, implementation, and evaluation of management practices to help satisfy water quality regulatory requirements. After you select the following link, note the “Related Items” associated with the farm plan which can also be downloaded.